Born in Galveston in 1964, John W. Ford is a fifth generation Galvestonian. He attended O'connel High School in Galveston, graduated from Texas A&M University with a degree in international Trade and Finance, and subsequently earned a certificate in Diamonds from the Gemological Institute of America. John started his jewelry career in 1984 by selling gold chains imported from Italy "by the weight" in flea markets around the Houston area, earning his nickname of "cut throat John" from some competitors. In 1987 John Ford Jewelers was opened as a brick and mortar jewelry store in Galveston. John added loose diamonds and custom jewelry manufacturing to the stores quickly expanding products. Business quickly expanded as John carried over his philosophy of selling his jewelry at very competitive prices. The store relocated to its present location in 1991, the building was built specifically for jewelry manufacturing and as a showroom. Jewelry operations quickly expanded to include wholesale as well as traditional retail sales. 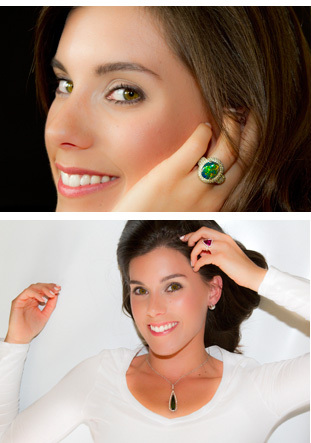 Today "private sales" to individuals seeking quality jewelry throughout Texas are a specialty of John Ford Jewelers. The store has sold many loose diamonds in the 20 plus carat sizes and large important colored gemstones as well. John is a leader in Galveston, having served as an elected official as president of the GISD Board of Trustees, an appointed official as Chairman of the Board of Trustees of the Galveston Wharves, Vice Chairman of the Central Appraisal District Board of Directors for Galveston County and numerous other boards and commissions. John currently serves as President of the Rural Rail Transportation District of Galveston County.